MEGA Action - buy 5pcs of LED T-shirts and get 1pc of Led T-shirts for free. You can choose from any model of LED T-shirts. (Just write a note to the order, how many pieces and sizes you require). 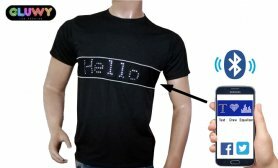 Hot product at our market - LED tshirts with sound sensor. It flashes, depending on how the music plays the best at the disco, at the club, at a party or festival, it is the right investment for you if you want to be attractive, and especially to be cool. Don´t wait, just check all designs and choose yours. If you want custom flashing shirts with your own logo or design just fill up order form directly here. 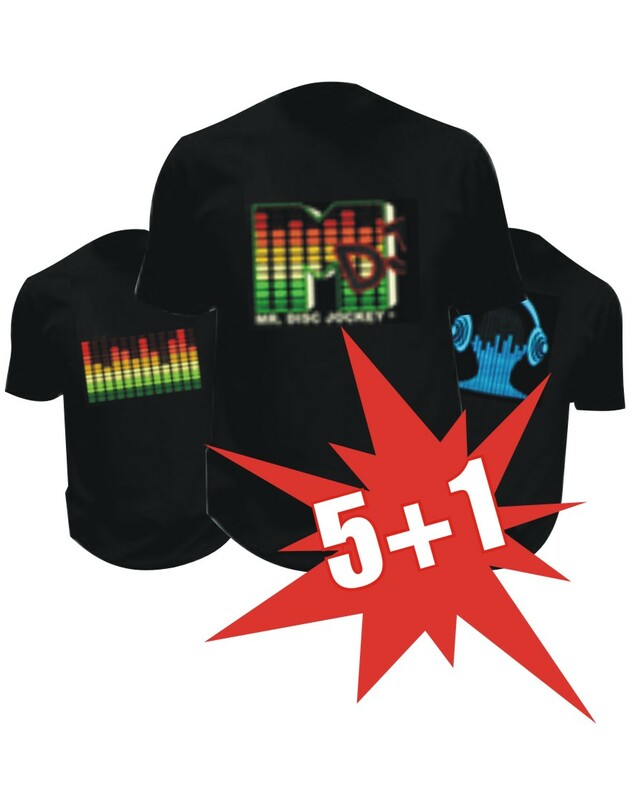 We will produce LED T-shirts for you with the supplied logo or graphics design exactly by your requirements. 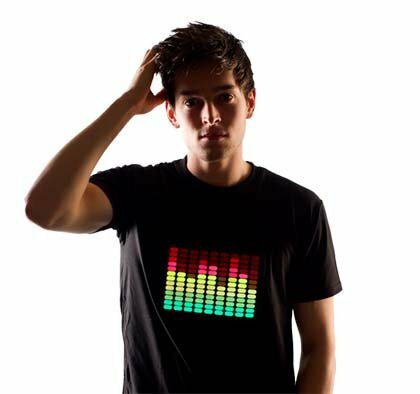 With this LED shirt you will definitely have a great marketing tool to promote your business activities. Made from 100% cotton, high quality and comes only in black colour. Led panel is attached to the shirt through the Velcro zip - allows easy disconnection of panel. Mini pack is equipped with the switch ON/OFF and sensitive scroll wheel - you can choose either high or low sensitivity of sound. 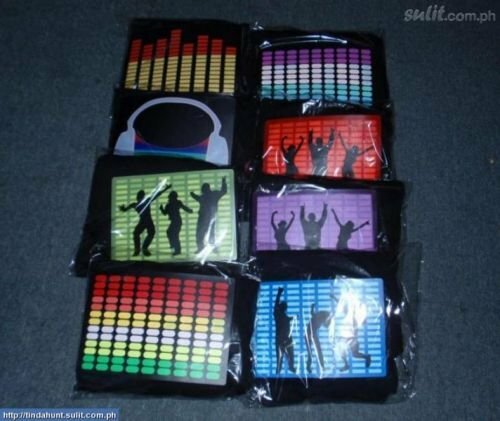 I want to order 10 led t shirts with sound effect in dubai. Kindly help me to select from your available stock. And what is your discounted rate?